Like many people this morning, my thoughts are with David Bowie who has died in New York from cancer at the tender age of 69. I heard the news at breakfast, much as I had done when news of John Lennon’s death flashed through the British airwaves 35 years ago. That was in New York as well. Dangerous place, obviously. And as the news slowly filtered in, my mind drifted back to a late summer’s evening in London in 1986 when our paths crossed for the first and, as it turned out, only time. I doubt it was a moment that writ large in the great man’s memory-banks in the 30 years that followed but I am afraid I still revel in the fact that once upon a time, I met David Bowie. 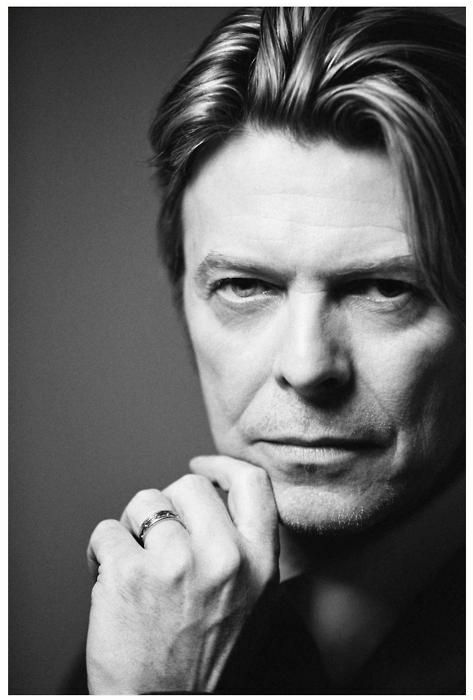 As with so many people, Bowie’s music has played across the background of my youth and my adult life. At school in the late 1970s, I recall heading over to Rupert Bates’ room to drink coffee and listen to the single of Ashes to Ashes. Again and again and again. It was that kind of a song. At university in the early 1980s I was in a Players’ production of The Duchess of Malfi, directed by Declan Hughes. He was an exciting director to work and learn with, Tarantino-esque in his musical vision. All his plays had fantastic soundtracks, even the Jacobean tragedy of Malfi. He opened the play with a tableau of corpses, beautifully lit by John Comisky, and the haunting strains of Bowie’s Warszawa. It was compelling theatre. I danced, or did my feeble impression, and chatted up girls to songs like Let’s Dance and China Girl. I liked him as an actor too. Not just big shows like Merry Christmas Mr Lawrence. I was particularly taken with him in a BBC production of Bertolt Brecht’s Baal. And many years later when I had kids, I revelled in the way they clicked with Changes when it came up in Shrek, albeit in a non-Bowie version. They instantly recognized the original when I had Hunky Dory on in the car. And later when we introduced them to the television series Life on Mars, they again jumped at the music. Bowie for all generations. But let me tell you about that night in 1986. I had left Dublin in the summer and found my first job in London, as stage doorman at the Mermaid Theatre, an oasis in the cultural desert of the City. The theatre had been set up by Bernard Miles for precisely that purpose. The fact that it was so close to one of Shakespeare’s old theatres in Blackfriars gave it a borrowed heritage. Miles would drop in regularly to say hello to the workers. John Junkin too. 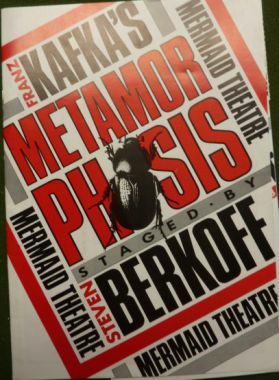 Barbara Penney was the theatre manager and she had done a deal to bring in Stephen Berkoff’s Metamorphosis on an eight-week run. Tim Roth, pre-Reservoir Dogs and Hollywood stardom, played Gregor Samsa with Linda Marlowe, Saskia Reeves, Gary Olsen and Berkoff himself miming their way through Kafka’s tale of dung beetles and isolation. It was outstanding and quickly became the hot ticket in London. It became usual to have big names come to the stage door to meet the actors. Usually they were old theatre friends but sometimes they were big names: Dustin Hoffman came through as did Topol, Roger Daltry, Adam (of Ants fame) and even a rather pop-eyed Jeff Goldblum who was charmingly giggly as he asked to meet with Tim Roth. He laughed and I laughed with him. I had been to see him in The Fly just a few weeks before at the Phoenix in East Finchley. It was rather a nice idea. Had I been a hack at that stage I am sure I could have made a few bob with the tabs on that angle. Then one evening it came to pass. Another superb performance, we could hear the audience whooping and cheering at the curtain call. Then the cast came off stage, drained and sweating, and wearily headed up the red staircase to their dressing rooms. At this point there was usually a short lull. The audience couldn’t come through to us direct from the auditorium. They had to exit the theatre, walk around the building into Puddle Dock and come in at the stage door. As usual there was a huddle of autograph hunters gathering outside and a line of well-wishers queueing up to talk to the stage doorman: me. Waiting at the back of the line was a tall, slender man in a well-cut suit. He hovered as others came and went. Finally, when there was no one left in the line, he stepped forward gingerly and smiled. There was a pause. Not that I was waiting for him to say any more. I was just star struck. Standing in front of me was David Bowie. To go and see his mate. I blinked and gathered myself. Tapped out Berkoff’s dressing room number. Of course they were friends. They had just made Absolute Beginners together. Julian Temple had been panned for it but there had been some good moments, notably Bowie and Berkoff. It was another film I had seen recently at the Phoenix on a late night double bill with Stop Making Sense. I had gone to see it with Omar Shawkat, a would-be actor from Louisville who had somehow landed on the doorstep in East Finchley when I shared a flat with Donald Clarke and Roddy Gibson. Omar had insisted that it was de rigeur in Kentucky during Stop Making Sense to leap out of your seat and run around the auditorium. Sounded a bit daft but fuelled by a couple of pints of Old Speckled Hen we had given it a go. But what they get up to in Louisville didn’t go down so well in north London and we were in no uncertain terms invited to cease. 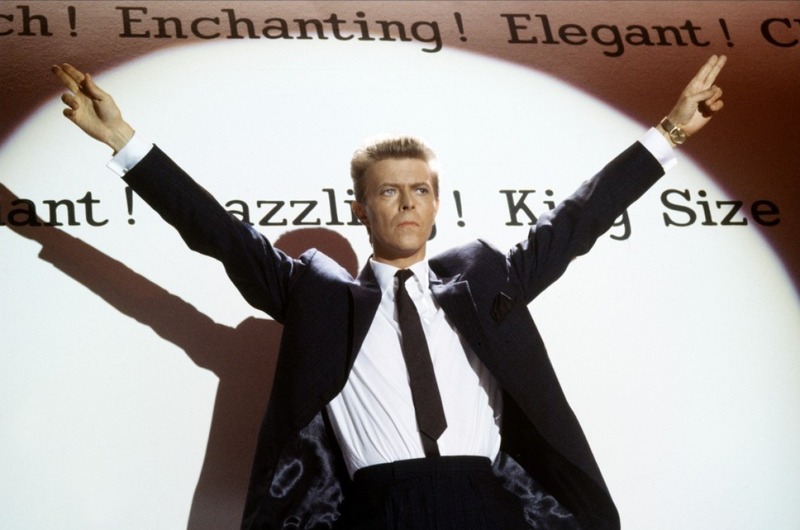 Absolute beginners. That was us. A pause. Then phone in hand, I looked up at him. 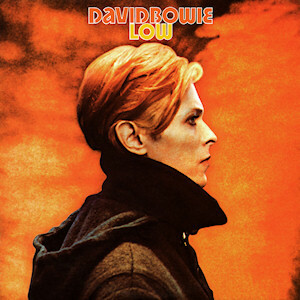 “It is Mr Bowie, isn’t it?” I asked stressing the pronunciation of the name. Bowie as in Bowie Knife as opposed to Bowie pronounced Bow-wow-wow. I nodded and smiled back as Berkoff answered the phone. I put down the phone and stood up. I wanted to be on eye level with the great man. He turned towards the stairs and headed up to Berkoff’s dressing room. I remained standing for what seemed like minutes, hours. Time stopped. Had I heard right? Had David Bowie just thanked my by name? And that wasn’t quite the end. When he and Berkoff came down the stairs about 20 minutes later to head off for dinner at Joe Allen’s – everyone went to Joe Allen’s – he said it again. Berkoff handed over his dressing room key and boomed a parting farewell. 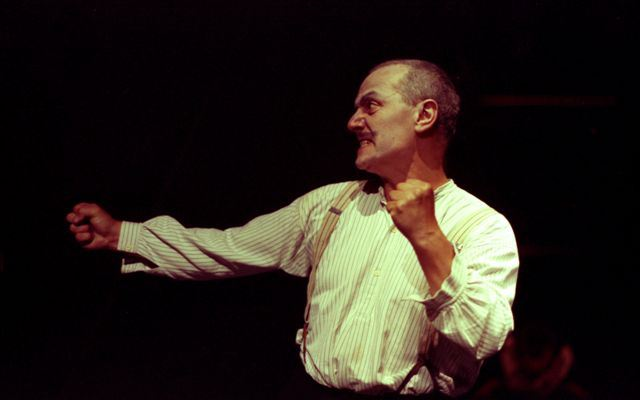 I liked Berkoff immensely but he did like to boom. As he followed him out of the stage door, Bowie turned towards the stagedoorman. And he was gone. Only later did I kick myself for not looking closer at his eyes. I had heard about the different coloured eyes but in spite of looking straight into them, I hadn’t registered them. Never mind. I had just met David Bowie. Ok, so our total mutual interaction on Planet Earth was probably under two minutes but for me it was so much more than that. He gave me the gift of a story that night which I have occasionally unfurled in the interim. And of course there is his music, his art. Bowie may have gone but we will always have the music. That is an amazing gift for all of us.